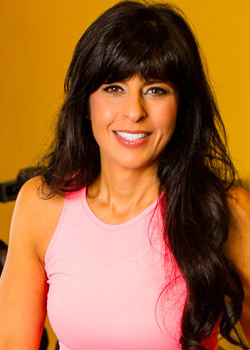 Namita Nayyar, creator of WF, has studied in-depth about exercise and nutrition, both normal and therapeutic. President of Women Fitness (WF), she is the author of all five "on-line books" of complete fitness and has designed the customized strength training, cardiovascular training and flexibility training programs for women to assist them in achieving their health and fitness goals. She has trained many women in this field. Namita has a M.Sc. degree in child development . She was awarded a gold medal by the Governor after an all round performance in the Institute of Home Science. Here she learned all about nutrition and relation to human body. She holds seminar for adolescent girls regularly to educate them to have a healthy concept towards life and themselves. Besides her knowledge in exercise science, has helped her to assist number of women in healthy living. As a lifestyles and weight management consultant she continues to help number of women to achieve a healthy living, a life free of diseases, pain and emotional disturbances. I believe that by focusing on our day-to-day behavior instead of our physical curves, we can help us live longer and enjoy our lives more. Studies have constantly shown that what we eat, and how we exercise, plays a major role in how our bodies are affected by most chronic and age-related diseases, including cancer, diabetes, stroke and osteoporosis. 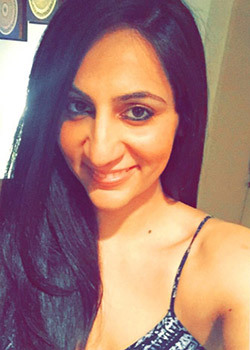 With a keen interest in Advertising and Social Media Marketing, Tanya Nayyar is a Proficient Digital Marketer. She has published two papers on Search Engine Optimization and Blue Ocean Strategy for Online Businesses in Top International Journals. She loves to read and is a quick learner. 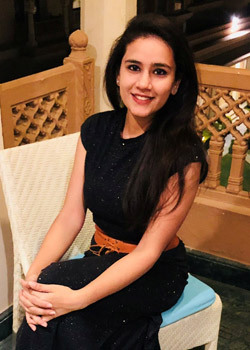 She applies her talent and knowledge in spreading awareness about the latest news on women health and fitness across various diversified platforms. She is also a Thespian in Performing Arts with numerous awards and accolades to her name in the field of Acting and Direction. 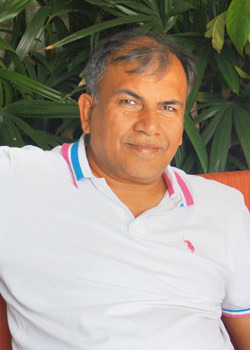 With over 30 years of experience in financial services, Mr. Rohit Nayyar, is the legal consultant to Women Fitness (WF). He has a blooming practice as a Chartered Accountant offering professional services and consultancy to umpteen numbers of companies and multinationals. Inspite of having a decked up schedule, Mr. Nayyar offers his relentless services to Women Fitness with a hope of building a brighter and healthier tomorrow for the budding generation. He is the Managing Director of the company and deeply looks into matters concerning collaborations, partnerships, advertising and other forms of business with WF. Dr. Kamlesh Tandon is a Senior Gynecologist and Obstetrician running her own Nursing Home. She earned her MBBS, DGO & MS. She has her own private practice and has treated more than two generation, women to have healthy pregnancy and child birth. She has been constantly guiding women on importance of healthy diet and exercise during and after pregnancy. Her patients are all praises for her. A senior orthopaedic surgeon has offered his services in many countries. His services extends to a span of more than 30 years. He is the Chief Surgeon to a Private Orthopaedic Hospital. 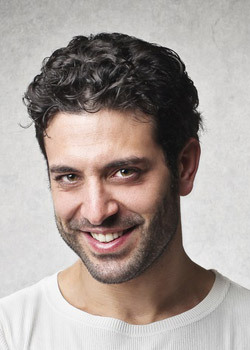 Besides he has a Mechanical Engineering Workshop for the development of Instruments and Implants. All WF Members have access to him for consultations and reference 24 hours a day. House Surgeon : Surgery & Ortho, S.N. Medical College Agra One year. Demonstrator : Teaching Job at S.N. Medical College Agra Two years. Assistant Surgeon at Chest Surgery : University Clinic Vienna Austria for One year. Casualty Medical Officer : at County Hospital Haverford west U.K. for One year. Senior House Officer : Surgery & Orthopedics, General Hospital, Aderdare U.K. for One year. Registrar in Orthopedics : General Hospital Merthyr U.K. for Three months. Medical Assistant in Orthopedics: General Hospital Barry U.K. for Three months. Registrar in Orthopedics : Royal Infirmary Stoke on Trent U.K., Teaching Hospital for One year. Pool Officer in Orthopedics : S.N. Medical College Agra Three years. Chief Surgeon : to a Private Orthopedic Hospital having Radiological, Operative and Histopathological facilities, dealing with all sorts of trauma and Orthopedic work. Having two junior Orthopedic Surgeons, Anesthetist and a staff of 12 persons. It is attached to Mechanical Engineering Workshop for development of instruments and implants, since 1976 till date. Kathy Fang is a young, extremely talented chef who has emerged from a renowned culinary family in San Francisco to enliven the city's food scene at Fang Restaurant. She has established herself as a culinary force in one of the most competitive food cities in the world - all while maintaining a healthy and balanced lifestyle. Chef Kathy is known for being passionate about food, and for offering healthful takes on everyone's favorite dishes. Chef not only shares recipes and ingredient ideas, but also provides tips for exercise and activities that promote a healthy lifestyle as shown on her new lifestyle website and daily blog, www.KathyFang.com. Anna Williamson is a television presenter, radio broadcaster, life coach, counsellor, Master NLP practitioner and author of the number one bestselling book 'Breaking Mad'. She has just published her second book, 'Breaking Mum and Dad: The Insider's Guide to Parenting Anxiety' which is set to be another huge success and she is also an ambassador for Mind, Childline and The Prince's Trust. Anna first found fame with big hitting children's television shows, however, behind closed doors, she suffered from a battle with generalised anxiety disorder. On speaking out about her experiences, she realised there was a huge stigma attached to mental health issues and was determined to challenge these. In doing so, since 2009 Anna has studied and qualified as a counsellor, life coach and Master NLP. She now runs her own private coaching practice offering those in need one-to-one coaching sessions, alongside sharing her expertise through television appearances on programmes including This Morning, Good Morning Britain (ITV), Inside Out (BBC One), Big Brother's Bit on the Side (Channel 5) and celebrity dating show Single AF (MTV). Anna's latest book, 'Breaking Mum and Dad: The Insider's Guide to Parenting Anxiety' is aimed at parents coping with all that a new baby can bring, focussing on mental health and anxiety and offering practical advice. Written in her clear, comforting, accessible and honest tone, this promises to do so much good in an area of mental health that is often overlooked or brushed under the carpet. Charlene Bazarian has a fitness and weight loss success story after losing 96 lbs., who has been featured in Good Housekeeping, Oxygen Magazine, Pop Sugar Fitness, First For Women Magazine, Boston Magazine, Fitfluential, Muscle and Strength, The Sun, Daily Mail, and other publications and is known for mixing a no nonsense style of fitness advice with humor on her blog at Fbjfit.com. Born and raised in Fresno, CA, Taryn began dancing at age 2 and gymnastics at age 4. At the tender age of 7 she was attending adult dance classes and was undefeated as a soloist at almost every dance competition and convention she attended. Taryn was just 9 years old when she graced the stage of Ed McMahon's Star Search talent competition and the only dance soloist to have ever made the show. She stole the heart of judges and audiences alike capturing 7 wins and ultimately taking away the season 1993 title of Junior Dance Grand Champion. Her unique blend of technical precision, acrobatic skills, and versatile dance flare changed the way dancers trained and were expected to perform. Taryn was in high demand and everyone from dance studios to Hollywood wanted this pint-sized power house. Taryn has been fortunate to have worked with some of the biggest names in Hollywood such as Michael Jackson, Paula Abdul, Bob Hope, Mc Hammer, Ed McMahon, and Kenny Ortega as well as Disney, ABC, Pepsi, Panasonic, Hawaiian Punch, and many more. Her extensive background in all styles of dance including Jazz, Tap, Ballet/Pointe, Hip Hop, Contemporary, Jazz Funk, Latin Styles, Swing, Bollywood, and Hawaiian just add to her innovative choreography and eclectic style. She travels the world performing and spreading her passion for dance and fitness, most recently touring with the acclaimed Bollywood dance company Blue 13. A sought after Master Teacher and Fitness instructor, Taryn's fresh take on staying healthy and fit is fast becoming L.A.'s "go to" workout. For the past 7 years, Shawn is providing nutrition counseling, fitness training and health advice all over Phoenix, Arizona. Shawn is committed to providing modern, relevant and reliable health information in all its complexity, perpetuating positive messages about sexual health, joint pain, diet and exercise. 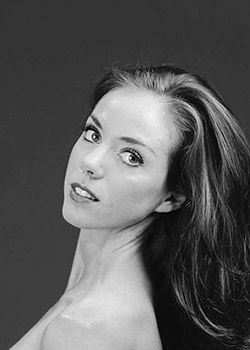 Kathryn Boren is a member of the corps de ballet of American Ballet Theatre. Her training began at six at the Ballet Academy of Texas, later joining the ABT Jacqueline Kennedy Onassis School under full scholarship. In 2011, Kathryn joined Staatsbellett Berlin, under the direction of former ABT Principal Vladimir Malakhov, followed by Boston Ballet, under the direction of Mikko Nissinen. She joined ABT in 2015 after having performed internationally with ABT II (now the ABT Studio Company) from 2009-2011. Committed to fitness and sustaining an injury free dance career, Katie's passion for cross training led her to her recent NASM certification so that she can empower and train others to surpass their highest physical potentials. Sylvia Nasser is a 13-year fitness professional, certified personal trainer, and creator of the national #irockthesportsbra body positive campaign. A full-time Equinox Group Fitness Instructor, Sylvia currently teaches boxing, cycling, strength and conditioning, and is certified in Pilates and Yoga. From an extreme dieter and over-exerciser to a powerhouse of positivity, Sylvia's past relationship with fitness serves as a cautionary tale to women everywhere in their own journey to self-love. A boxing enthusiast, influencer, mother and self-proclaimed badass, Sylvia strives to empower women to face their fears, let go of judgements, and celebrate every step of their personal fitness journey. Dr. Priya Khorana is a specialist in exercise physiology and nutrition, receiving a Doctorate from Columbia University in New York City, a prestigious ivy-league institution. She is an ACSM-accredited exercise physiologist who has been instrumental in accelerating and facilitating health and chronic disease management for diverse populations, ranging from elementary school children to firefighters. Dr. Khorana serves as a practiced expert in nutrition education, outlining and monitoring customized exercise plans, weight management, childhood health education and has evaluated school wellness interventions to combat childhood obesity. 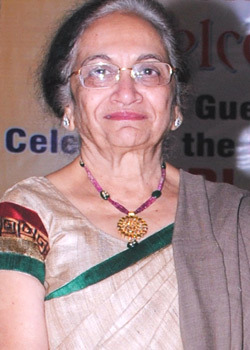 Dr Khorana is a sought after global authority on Nutritional Wellness, featuring in her advisory capacity for the American Society for Nutrition, BMC Public Health, British Food Journal, International Society for Behavioral Nutrition and Physical Activity, the American College of Sports Medicine and the Journal of Nutrition Education and Behavior. 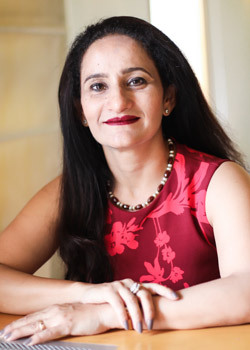 Dr. Khorana frequently features as a guest columnist in leading health and fitness magazines, sharing her wisdom and profound medical insights on a spectrum of lifestyle topics - weight loss tips, healthy workplace eating, hydration, pre- and post- workout fuelling, meal replacements, safe food storage, healthy lunch preparation, low-calorie and filling snacks and maximizing nutrition in cooking.